Choosing the right guides for your casting rod isn't a daunting task, but using the right frame types can really benefit the overall casting ability of the rod. This article should shed some light on the process of selecting the right guides. Casting guides and the use of certain frame types has evolved rapidly over the past 10 years. The use of double foot guides on rods lighter than 20lb application has nearly been abolished with an exception of the stripping guide. Concept guide layouts have replaced any other antiquated layouts, and single foot fly guides have become the standard in running guides for casting rods. 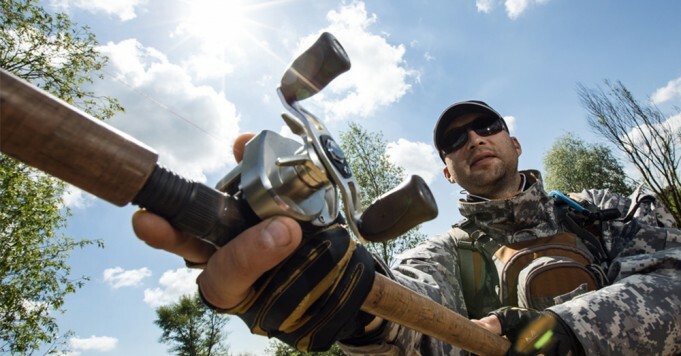 Choosing the right guides for your casting rod isn’t a daunting task, but using the right frame types can really benefit the overall casting ability of the rod. 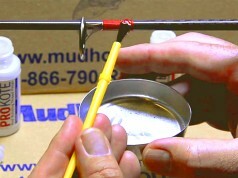 A stripping guide on a casting rod refers to the first guide closest to the reel. Traditionally, the guide is a double footed casting guide that is larger than the running guides. In some progressive guide set-ups, there is no stripping guide, as it’s a fly guide the same diameter as the running guides. A double footed guide used as stripping guide is more common, and this guide usually is a size or two smaller than the running guides. Using a single footed guide reduces weight and accomplishes the same task for the most part. The argument for the double foot guide usually is based around the height of the guide. The higher guide stance allows for the line to sit off the blank. If you were to grab two different casting rods from two different rod builders, chances are their stripping guides are going to be different. This aspect is very opinion based and I recommend trying a few different options to develop your own opinion. You may have rod in your garage that have double footed casting running from the stripping guide to the tip top. I can almost guarantee these rods are years old or purchased at your local grocery store. Using a single footed fly style running guide has become the industry standard, even outside of the custom market. The size of these running guides is where all of the opinions start to arise. The micro guide phase has taken a lot of builders by storm, and it is very effective. The goal should be to use the smallest guide possible which will pass your max line size. You must take into account any leaders and the size of their connection knots when determining running guide size. The amount of guides on a casting rod will be determined greatly by the size of the running guides being used. The smaller the guide, the more guides it’s going to take to keep the line from coming in contact with the rod blank under a load. Using a basic guide layout, and then expanding it with a static load is going to the optimal option for guide spacing. 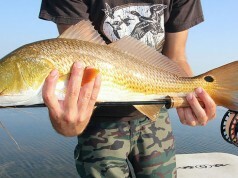 Tape the guides up and cast it – let the rod tell you if you got it right!